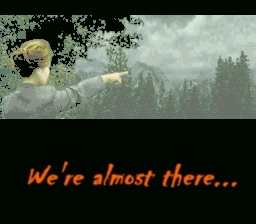 Halloween is almost here. It’s one of my favorite days of the year. 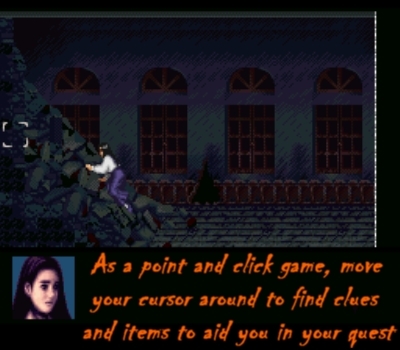 And this game is perfect to play on Halloween night. 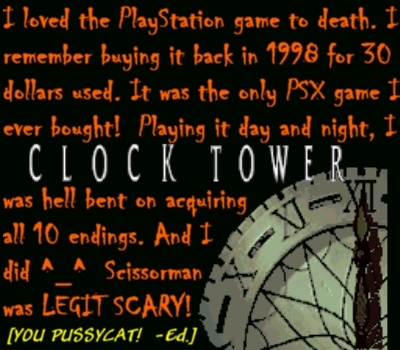 In the late ’90s I bought Clock Tower for the PlayStation and played it to death (pardon the pun). 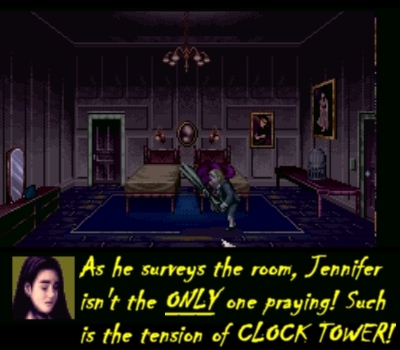 It was a few years later that I discovered the first Clock Tower originated on the Super Famicom. 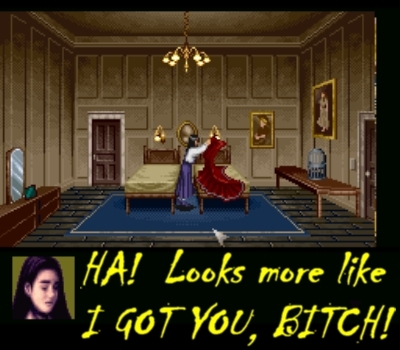 Thanks to the efforts of some diehard SNES fanatics, the game has long since been translated into English for the rest of us to enjoy. And enjoy it we did. 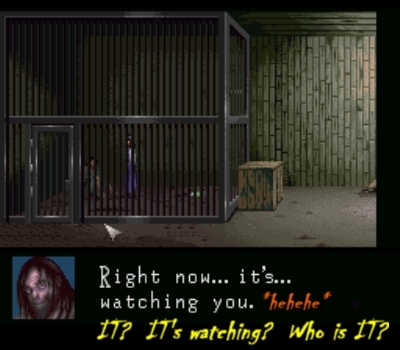 One of the true Halloween staples in any video gaming collection, Clock Tower delivers one creepy and tense adventure the likes of which few SNES games can claim! Clock Tower combined two things I absolutely love. 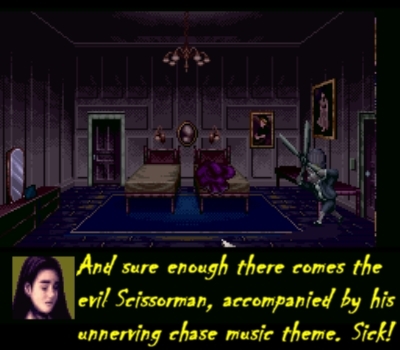 It resembles a horror movie — I like its creepy villain, SCISSORMAN, almost as much as Michael Myers — and it’s on my favorite system of all time, the Super Nintendo. What more could I ask for, right? 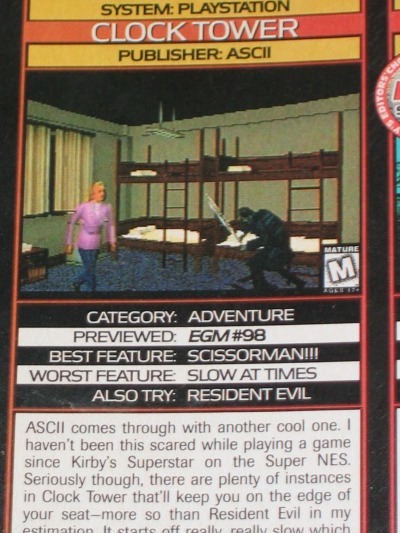 Unfortunately, the game never received a North American release. By the time it came out in Japan on September 14, 1995, the SNES was quickly losing steam as the 32-bit machines gained more and more momentum. That and, of course, there was no chance (even with the Play It Loud! 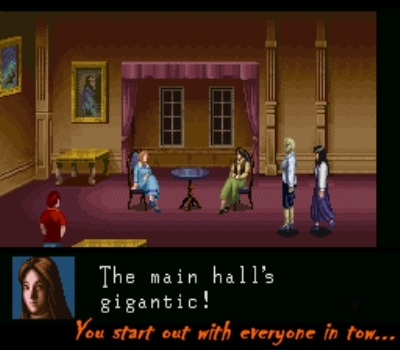 movement) that Clock Tower was going to get approved by Nintendo of America! 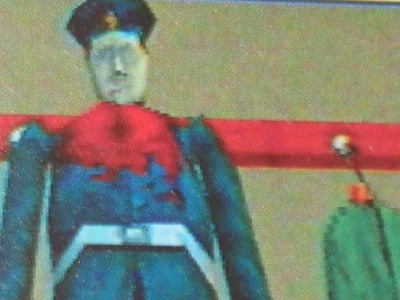 What a shame it never saw American soil because this is one of the most unique and original efforts on the Super Nintendo. 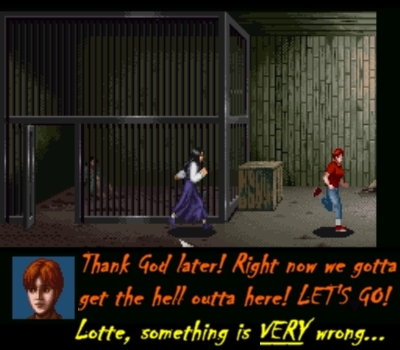 But thanks to the fan translation scene, we can now experience this macabre game in all its gory glory. Anyone who knows me knows how much I love the HALLOWEEN series. Uncle Jimmy let me rent the first one back in 1989. I spent more than half the movie hiding behind the sofa with one hand covering my eyes. 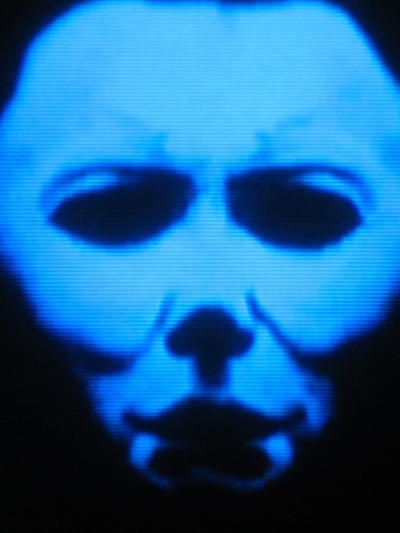 I even had a nightmare of Halloween‘s iconic madman, Michael Myers, later that night. And I was hooked. Go figure. 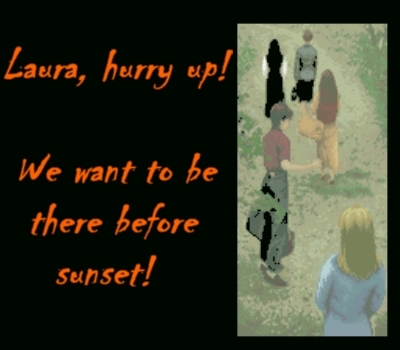 I dreamt about someone turning the Halloween concept into a video game. 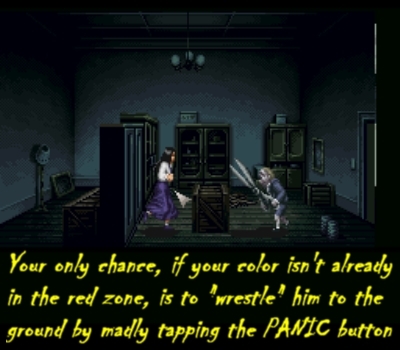 I mean, how awesome would it be to take control of a protagonist who is constantly being chased by a masked maniac? That every room you enter he could be lurking in the shadows… watching and studying your every move… waiting for the right moment to jump out and slit your throat wide open. 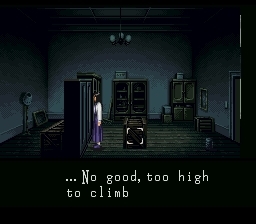 Clock Tower delivers that sense of dread and drama in spades! My first exposure to Clock Tower was in 1997. I’ll never forget it. 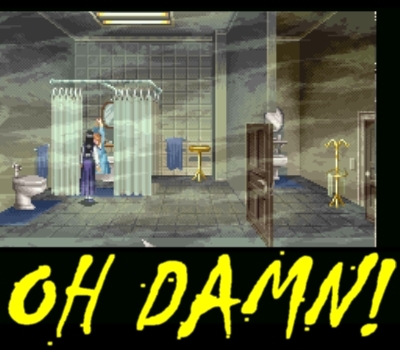 From the moment I read its splendid three page ad in EGM #97 (August ’97), I was hooked. Seriously the best advertisement ever. I knew I had to buy the game then, and it was the only PlayStation game I ever cared enough to buy! 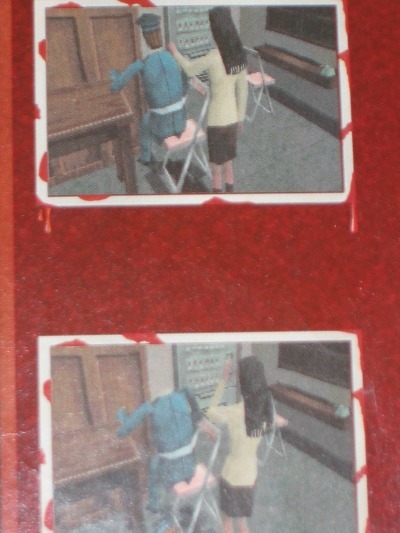 The ad is so awesome that I am going to replicate parts of it below. 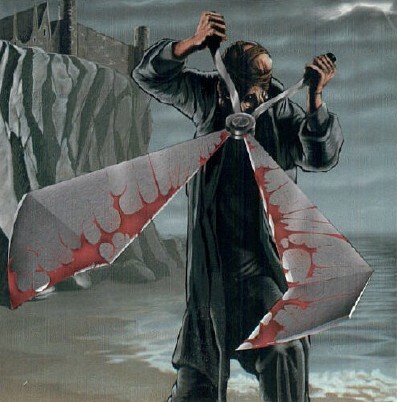 A bright plume of warm crimson rain erupted as the giant scissors rent the flesh of his next victim… this is certainly not the game for the timid or weak of stomach! 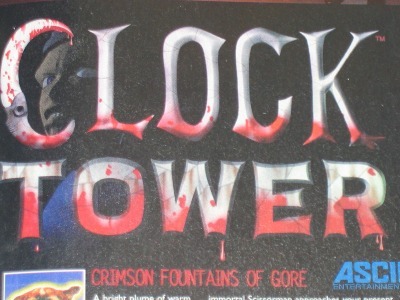 From corpses at your bedroom door to half eaten bodies in the restroom, ASCII has packed Clock Tower to the belfry with some of the most gruesome and spectacular graphics of the year! 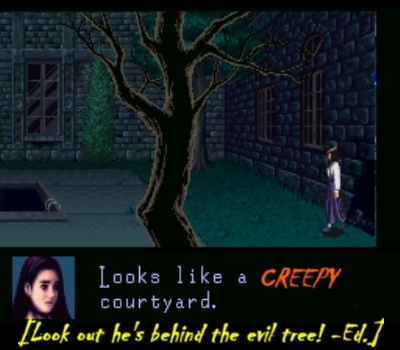 Watch in horror as the limping gait of the immortal Scissorman approaches your present hiding place — only to see the bright fountain of your own blood if he happens to find you! 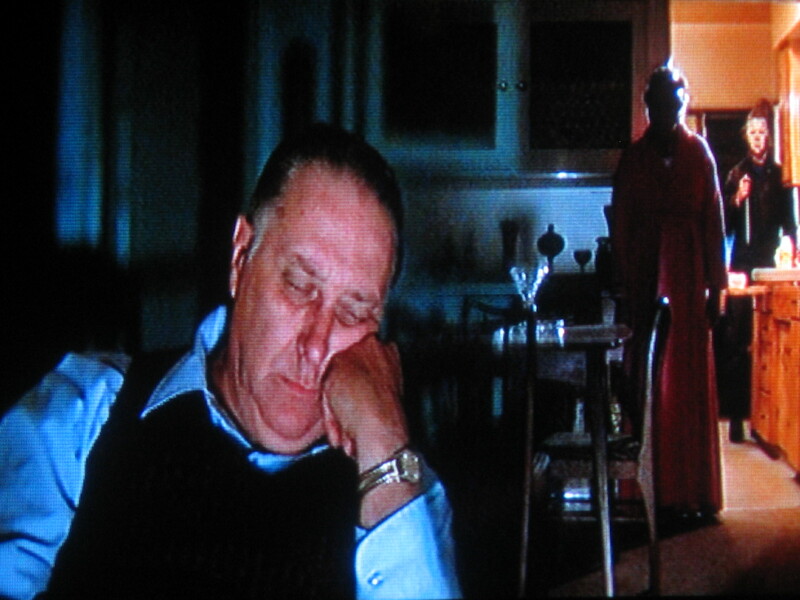 Any horror fan will quickly recognize the brilliance of the programmer’s virtuoso performance in the lighting, shadowing, angles, and sheer volume of gruesome content! 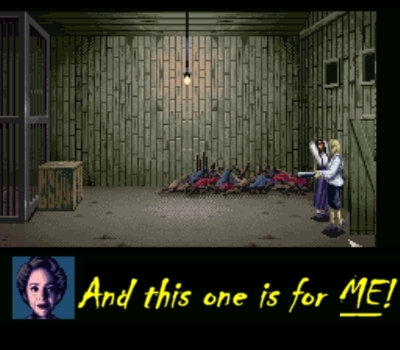 Lots of animation and full 3D polygons were used to bring the bloody, murderous surroundings to life. This, in conjunction with the well detailed backgrounds and characters, will have you at the edge of your seat — praying that you make it through the night! The chilling sound of the banshee’s scream itself couldn’t have been more dreadful than the sound of the sheering scrape of sharpened steel blades sliding past each other — not to mention the wonderful effect of pure silence in some of the most chillingly tense scenes of the game. 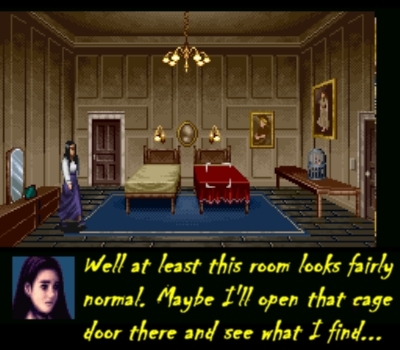 There’s something terribly dreadful in the sound of your own two feet echoing through some of the most profoundly evil halls ever wrought, and I couldn’t agree more with the programmers when they spoke of the “Terror of Sound” which they labored for in this game! ASCII’s purpose in the sound scheme of this game is fairly easy to understand… with sounds that aren’t there when they should be, sounds in impossible places, the chilling music of the chase, and the haunting scrape of the Scissorman himself as he stalks you with inhuman determination… they want to scare you out of your skin! Of course, the voice-overs and sound effects of the surrounding environments are a beautiful addition to the already impressive audio display. The tightly knit unison of background noise, voices, sound of movement, music and silence create a living auditory atmosphere that will draw you into the world of terror on the screen right before you. 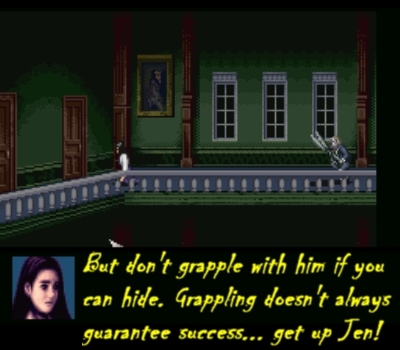 In a game where one false move could easily mean the difference between escape and grisly death, control is of paramount importance. 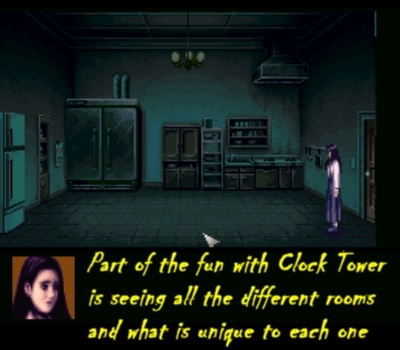 This is another area where Clock Tower excels! 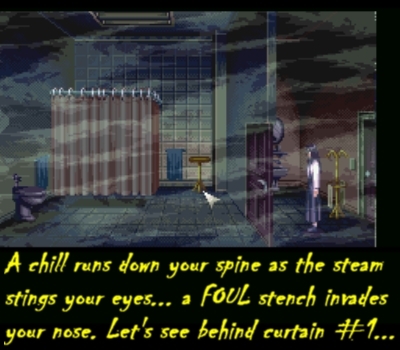 From fleeing down dark corridors and hiding in shower stalls, to hurling chairs and brawling with your would be assailant, the full range of movement offered by Clock Tower will leave you breathless with the fight or flight instinct. 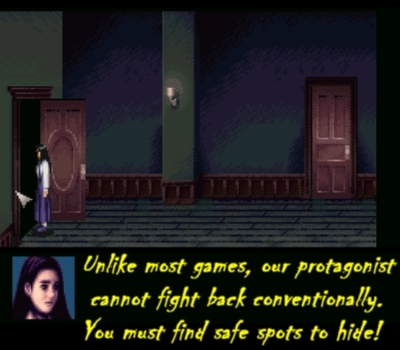 For those who like to hide, just try to avoid hiding in the same spot too many times in a row. 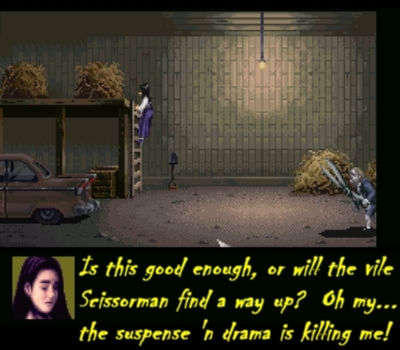 Scissorman has a limited IQ, but he’s not that stupid! Also remember to check every nook and cranny for items that you may be able to use later. With a little help, you might just live to see the light of tomorrow. Next time use a napkin, will ya? 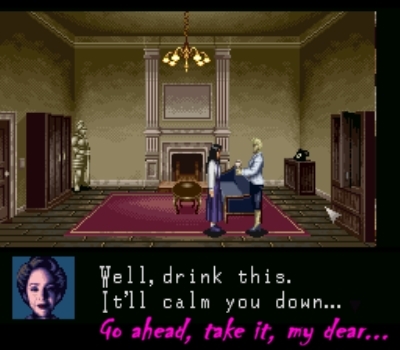 I have such great and fond memories with this game. As I said it was the only PlayStation game I ever bothered to buy. For a while there in ’98 it was all that I played. I used it to scare the living daylights out of my then 10 year old cousin, David. Uncle Jimmy, the one who rented Halloween for me back in ’89, used to visit us a lot back in the late ’90s. 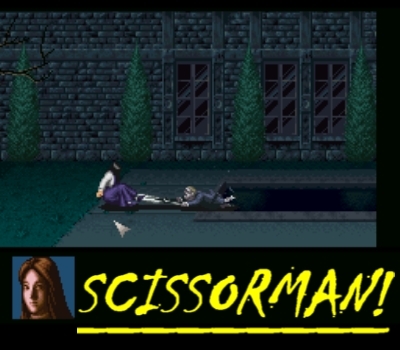 David would always come to watch me play this, only to run out screaming whenever Scissorman gave chase. Ahhh, the good old days eh? 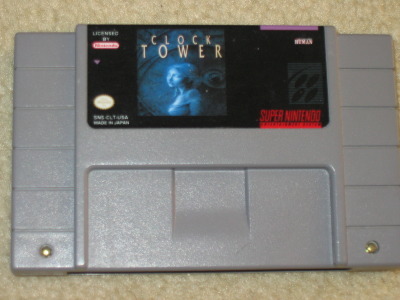 So when I found out Clock Tower originated on the SNES, I simply had to get my hands on it. 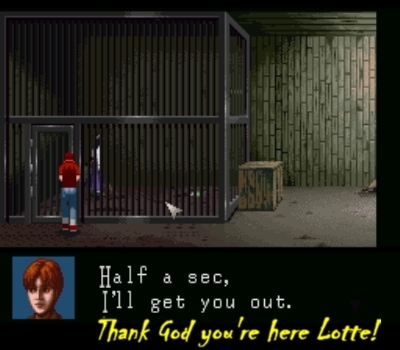 Your mom had 9 months and she chose Lotte?! You might wanna think about saving yourself! I mean, what’s the worst that could happen, right? 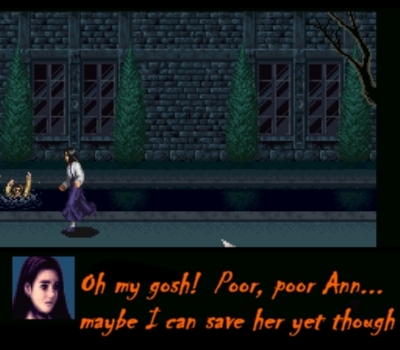 Who knew a 16-bit game could be so scary? Surely it will be a safe haven up there, no? I’ve seen a horror movie or two. Hit the lights! 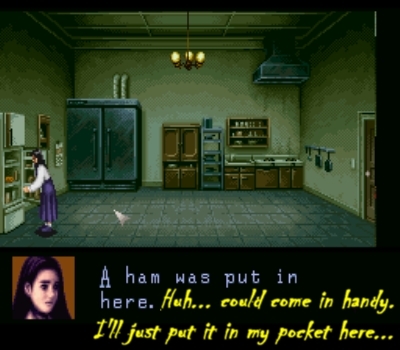 Dang that’s quite a big pocket you got there Jenny! Looks like a meat locker, but what’s that inside? Or is it simply part of a greater plan? Yes Jennifer, take it and SPLASH IT IN HER FACE! Whatever IT is, could it be even worse than this guy?! 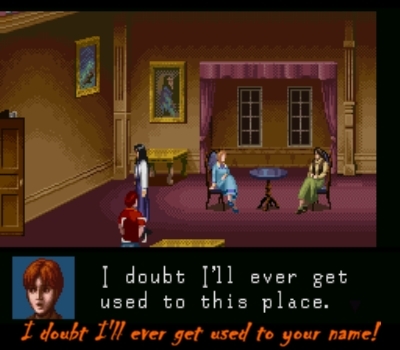 I promise I’ll never make fun of your name again! I saw a mad man limping around with HUGE shears! YES! FINALLY! JENNY’S CHARACTER ARC! Quick, hide that shoulder before Scissorman comes! 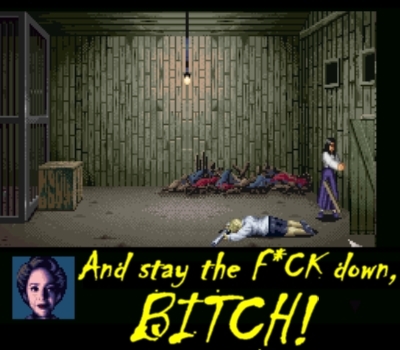 My fellow gamers above said it best. I echo many of their sentiments. Have you ever had one of those special gaming experiences you’ll never forget? Perhaps it was, in addition to the game itself, the weather, the season in your own life, or the place where it happened. Christmas 2010. 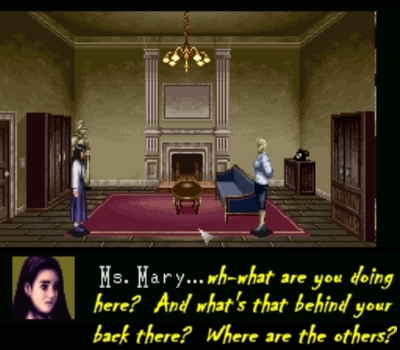 I was sleeping over at my parents’ huge two story house, and that was the first time I went through Clock Tower from start to finish. 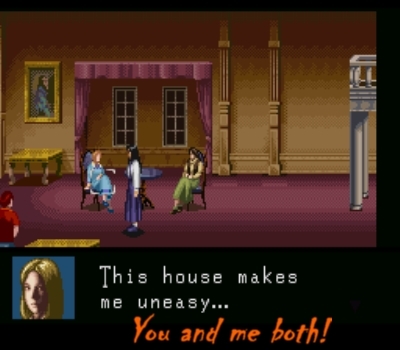 Playing til 4:30 AM, every bloody sound that emanated from either the game or the house had me on the edge of my seat and peeking over my shoulder with much trepidation. 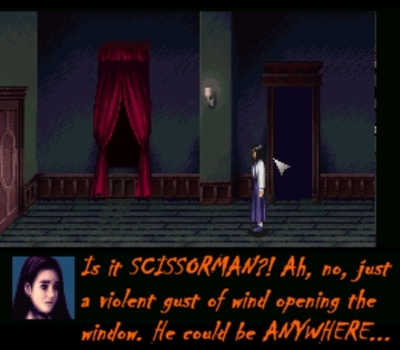 It’s been a long time since I’ve been a little kid, but that night Scissorman sure made me feel like one. 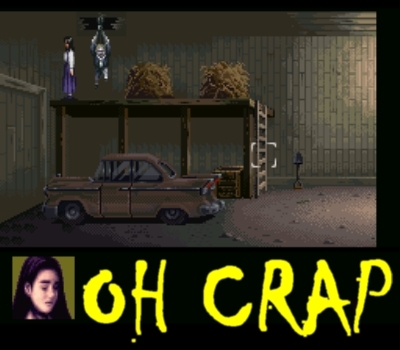 With multiple endings, a sinister masked maniac and a simple yet compelling story, the game draws you in like few others and then spits you out leaving you feeling exasperated, a bit uneasy, and completely satisfied. 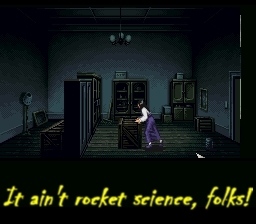 Simply put, there is no other game quite like Clock Tower on the SNES. That alone makes it noteworthy. Throw in the fact how well it was executed and what you have here is one uniquely special game. 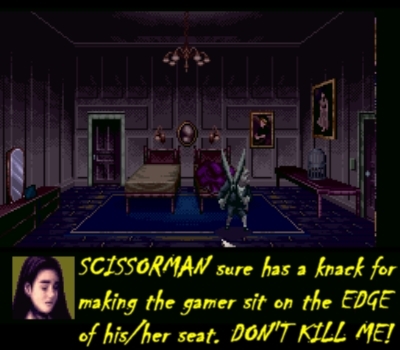 Scissorman is easily one of the most memorable villains in SNES history. He waits in the shadows and pops out at the most (in)opportune moments. 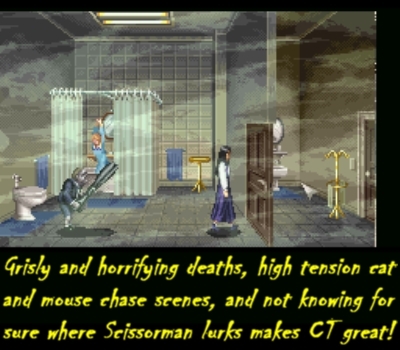 Grisly and horrifying deaths, high tension cat and mouse chase scenes, and not knowing for sure where Scissorman lurks makes Clock Tower great! 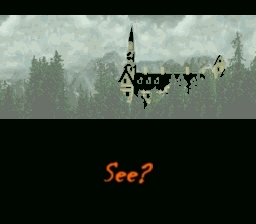 The graphics are well done and give the game an ominous atmosphere. The sound will raise the hair up on the back of your neck. 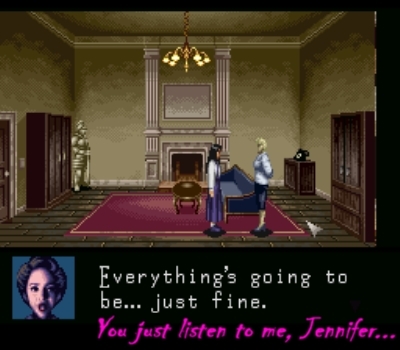 It’s not too long but the nine endings give incentive to replay. After that night at my parents’, I met up with my cousin David the following day. 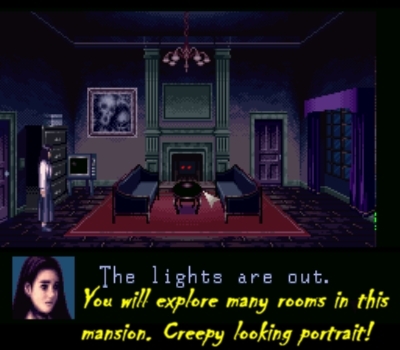 Yes, the same one I scared with PlayStation Clock Tower more than a decade ago. 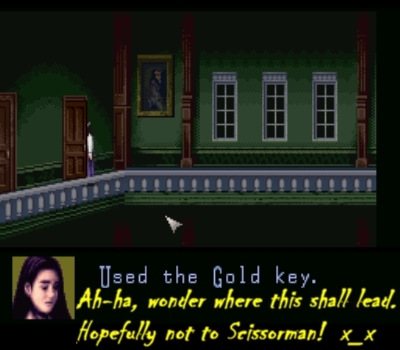 I told him how I spent much of last night playing the original Clock Tower on Super Nintendo and what an awesome experience that was, with the whipping rain outside, and I swear, just the mere mention of SCISSORMAN gave poor David a horrid flashback. Heck, I don’t blame him. 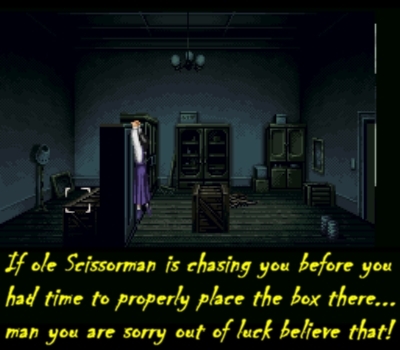 Just saying Scissorman out loud gives me the heebie jeebies. Do what you gotta do to play this game and be sure to turn off the lights, lock your doors and pray for mercy! 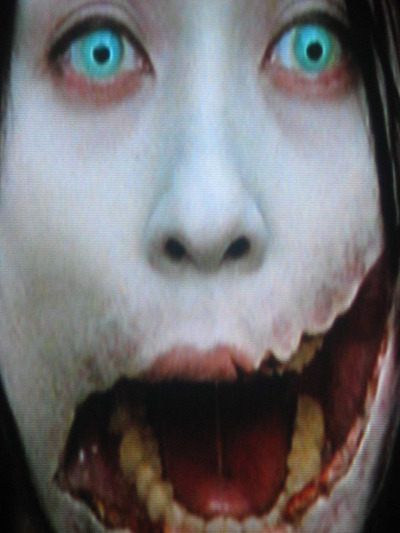 In 2007 a Japanese horror film was released based on a rumor that ran rampant throughout early 1980’s Japan — the Slit (or Severed) Mouth Woman! 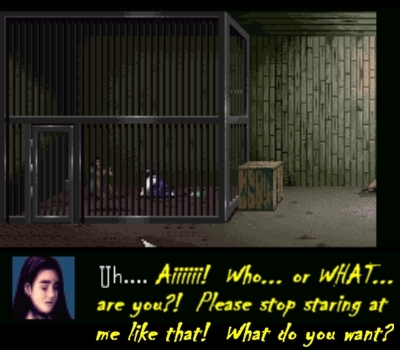 This horrible disfigured lady apparently roamed the streets of rural Japan looking for children to answer her one simple, deadly question: “AM I PRETTY?” The wrong response was met with grave consequences. Through comic books and magazines this became a popular urban myth. It became such a hysteria that ALL students were forbidden to go home alone and groups were formed for safety. There was even an incident where a lady chasing some kids was struck by a car. Her mouth was revealed to have been slit from ear to ear! 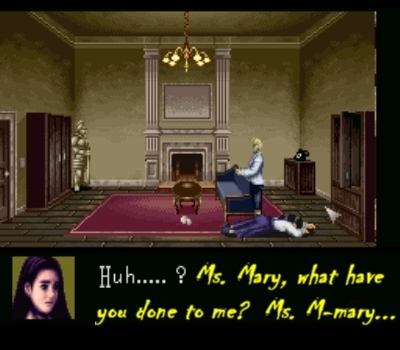 Was it the Slit Mouth Woman? The movie is known as “Carved.” There was also a sequel. 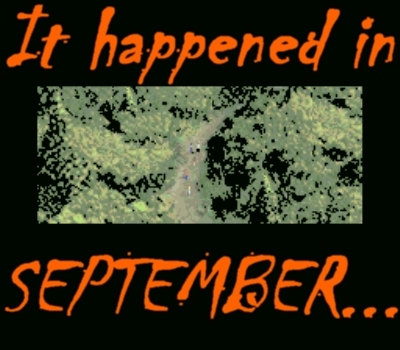 It wasn’t too bad for a sequel, but much like Halloween itself, the original will always be the best. I recommend this film to horror buffs. It’s sick, twisted and if you happen to love Scissorman as much as I do, this is the closest we might ever get to seeing Scissorman in movie form. Who doesn’t love a good old fashion ghost story urban legend? 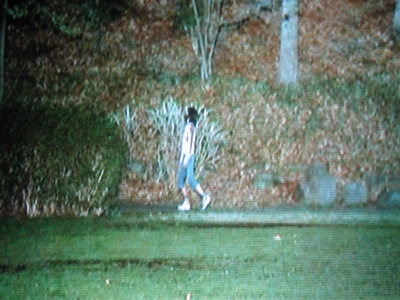 I don’t know why but any movie taking place in rural Japan is automatically 50 times scarier and creepier than any American horror film. 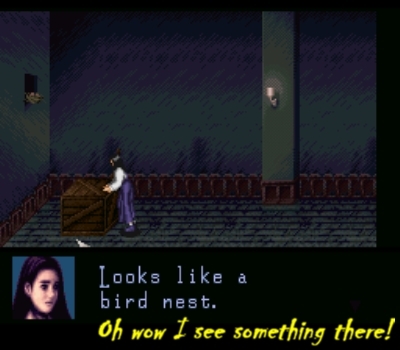 Those Japanese artists have some sick minds. Carved is a solid slasher and the fact that it’s based off a real Japan urban legend “Kuchisake Onna” makes it all the more unsettling and spooky. Click for more info on the Slit Mouthed Woman. 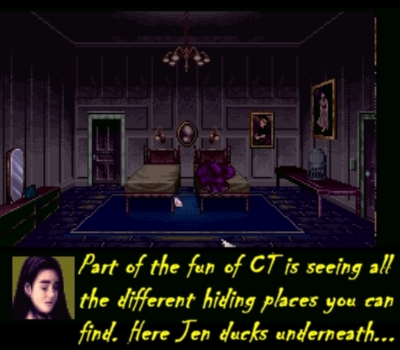 Finally, looking for more Halloween-esque games to play on the SNES? I got you covered! 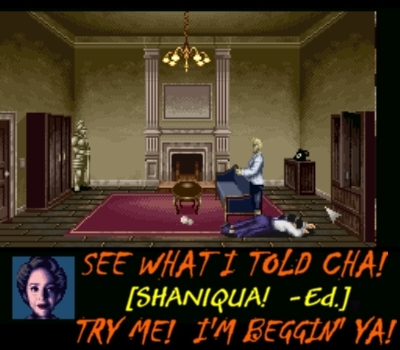 Check out my SNES Halloween Special. 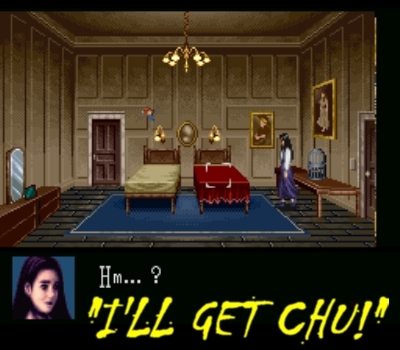 The snes history is full of Japanese games that on the time the console was alive(now a legend) it never was translated to English, so, they wasn’t played for American people, like you, or European or Latin like, as me. 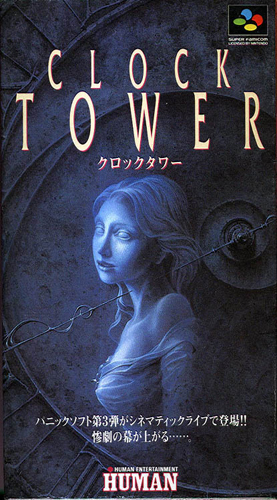 Clock tower is one of this games. 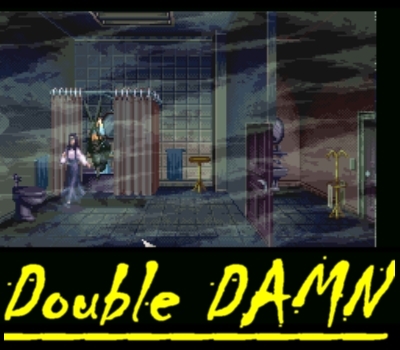 I discovered it searching for translated games to Portuguese, and reading the review on a site, I got the bad idea to play this thing. 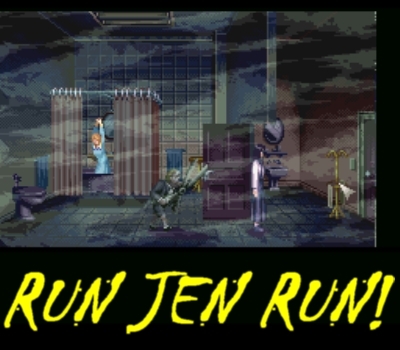 Until the bathroom I had no idea that hasn’t a midget, now I know is a psicopath human flesh eating boy, on the game to stalk me with a garden scissor. 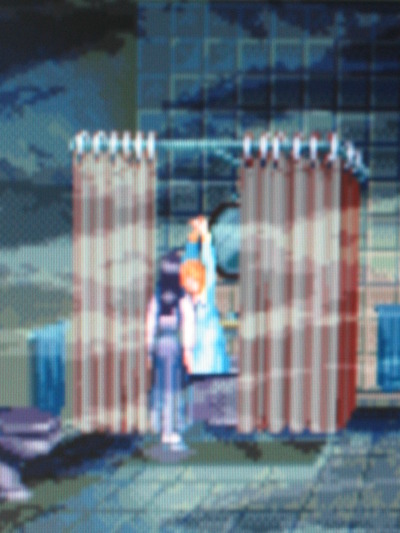 When the boy emerged from water with the scissor that scared me. The sound of the blades clinging is perfect to make someone poops without warning. So on the second time he appeared I decided this game isn’t entertaining me, but sicking me. So I stopped. Until the other night. 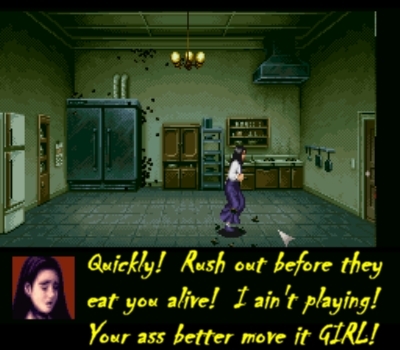 So good and vicious game. Making a adendo:it gave me two nightmares, and I have 30 years. 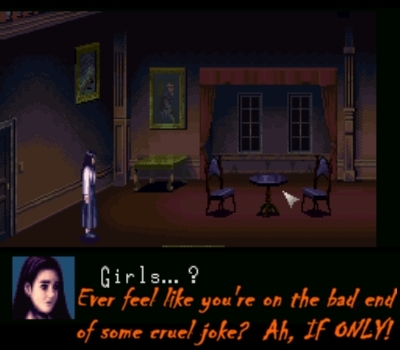 Unfortunately don’t have any other horror game with this quality on snes.